i’ve been thinking recently about what we should do for valentine’s day this year (free printable valentine’s day cards anyone?) and what traditions we may (or may not) have for this sweet little holiday. while we always do some fun things, i couldn’t think of anything specific that we’ve done year after year. maybe it’s because my kids are still young and we haven’t really established any real traditions yet. 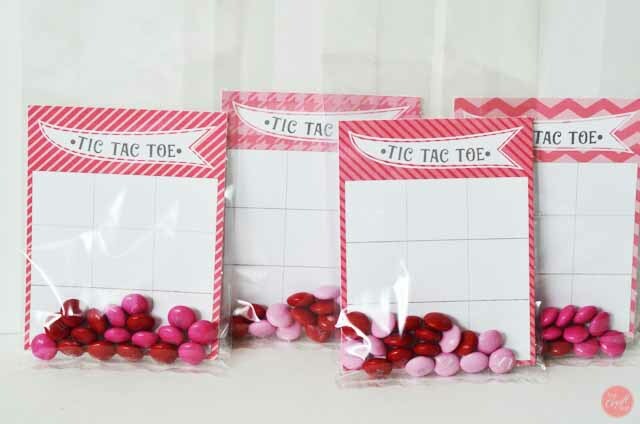 so when i asked them what they remembered from valentine’s day last year (to gauge what kind of things they enjoyed doing and would be worth doing again), they told me that they loved playing the tic tac toe chocolate game (free printable). i laughed when i thought about them playing that game and eating sooo much chocolate that day. no wonder they kept wanting to play it over and over last year…and i’m sure that’s why they remember it so fondly! haha. 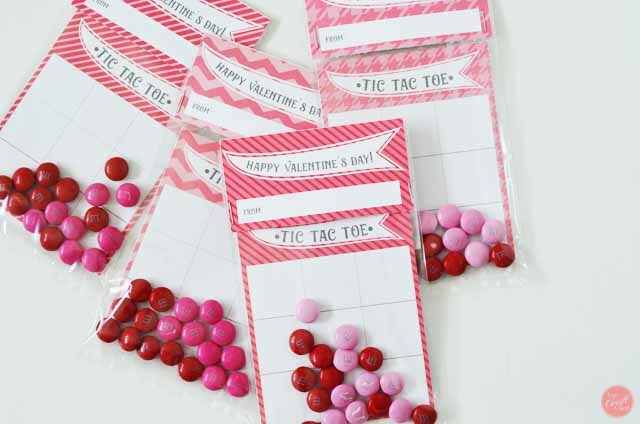 and so here we have these free printable valentine’s day tic-tac-toe cards to go along with your favorite candies. we used hershey’s hugs and kisses chocolates for our big tic-tac-toe board (or as i refer to it, the “hugs and kisses game” – because of the chocolates, and they’re “x”s and “o”s, and are oh so appropriate for valentine’s day!). 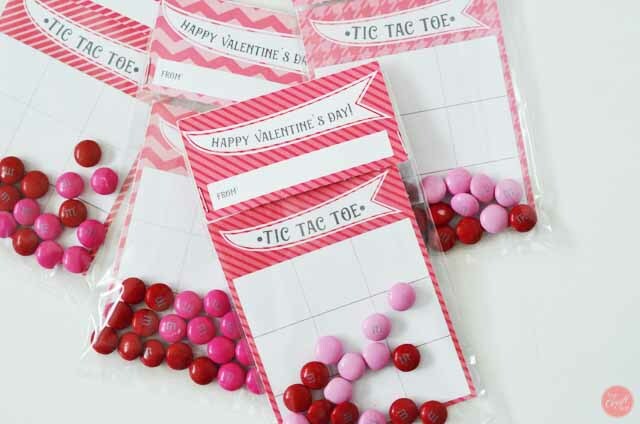 but for these mini tic-tac-toe boards, i decided to go with the valentine’s day-colored m&m candies. we bought some clear party bags (4″ x 9.5”) in a 25-pack. 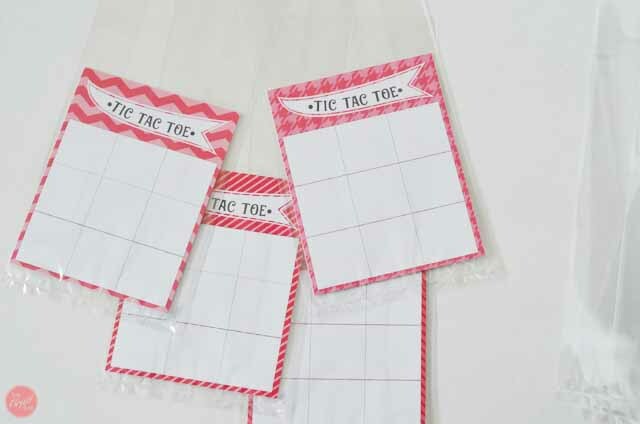 they were the only ones i could find at the store, but these mini treat bags (aff link) would work great, too (they’re a perfect size, you get 100 of them in a package, and they’re a better deal than i got). and then staple on the party bag toppers! so, so cute. oh, and while i started by making pink ones (because it’s valentine’s day after all, and i just love pink for valentine’s day), i realized that maybe my boys wouldn’t love them as much as i did. 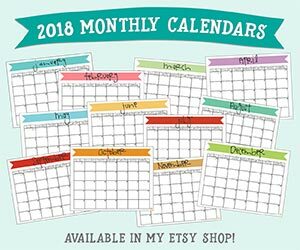 so i made some that are red, orange, teal, and green. they’re still just as fun for valentine’s day – just not as pink! they’re included in the download. now just buy some party bags and some yummy candy and you are good to go! happy valentine’s day! 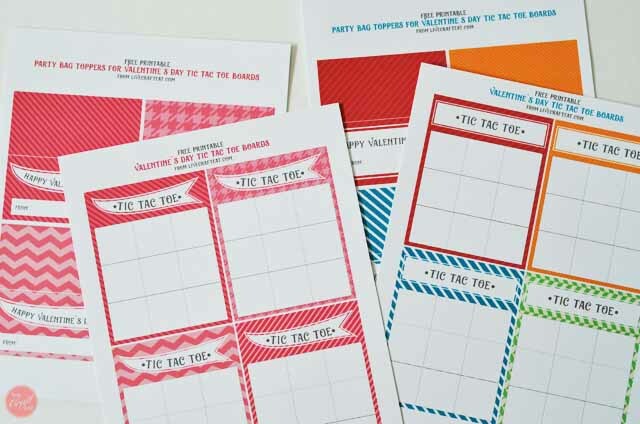 do you love valentine’s day printables? 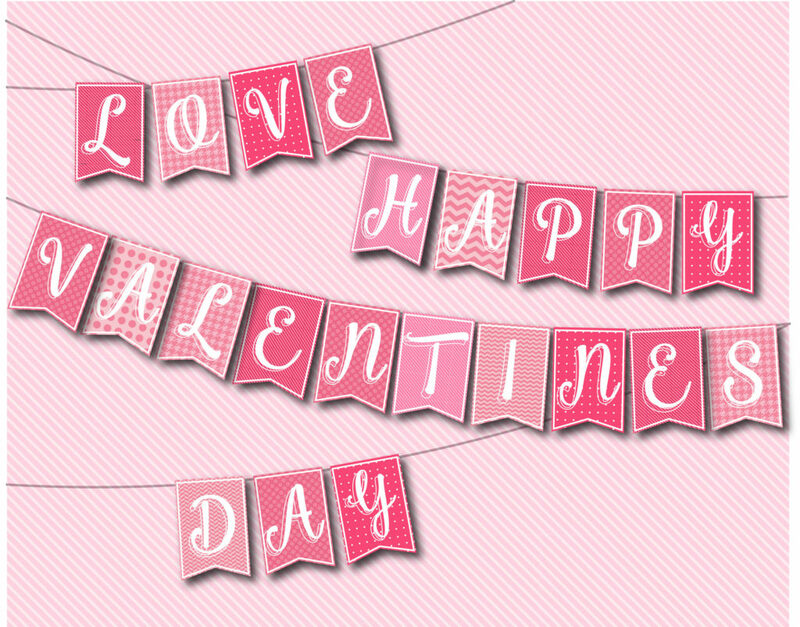 here are some fun, inexpensive valentine’s day word banners/bunting available in my etsy shop. take a look! 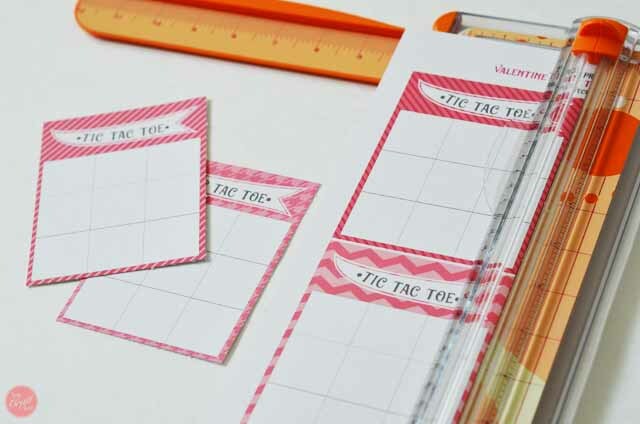 print, cut, decorate. easy as that.